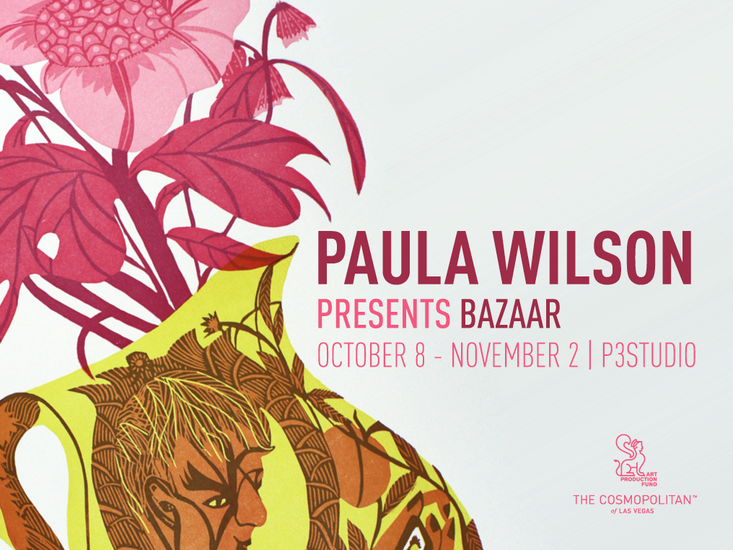 The Cosmopolitan of Las Vegas, in partnership with Art Production Fund, is pleased to announce artist-in-residence Paula Wilson. 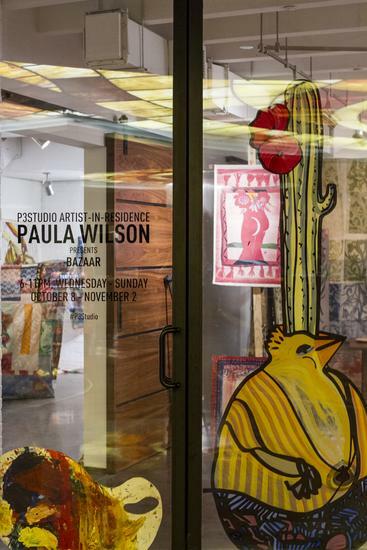 During her residency Wilson will turn P3Studio into a Bazaar, a faux market of painted delights. Akin to Orientalist imaginings of Turkish markets, this immersive, life-size installation is designed to be a place for guests to browse, touch and explore. 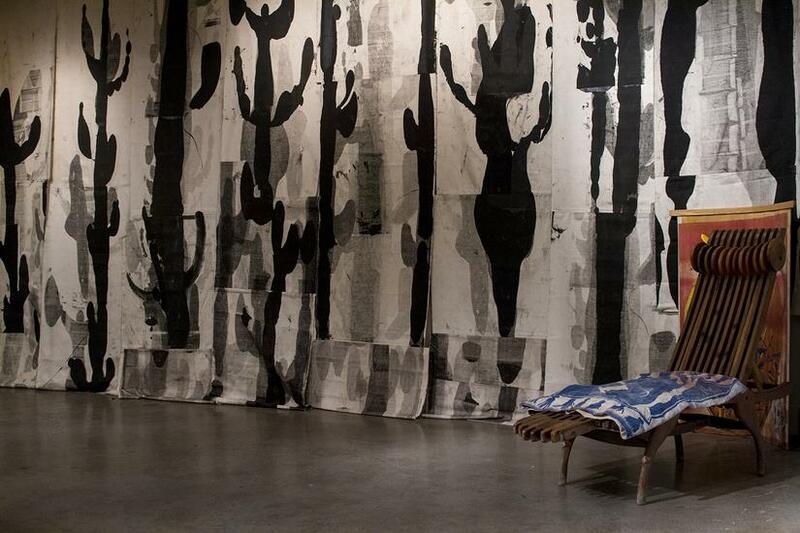 Inkblot printed giant cacti line the back wall into an animated abstraction that is both a desert landscape and a Rorschach of the artist’s mind. Spirited music curated by AMRA plays in the background, while oversize bags and one-of-a-kind clothing hang from racks. 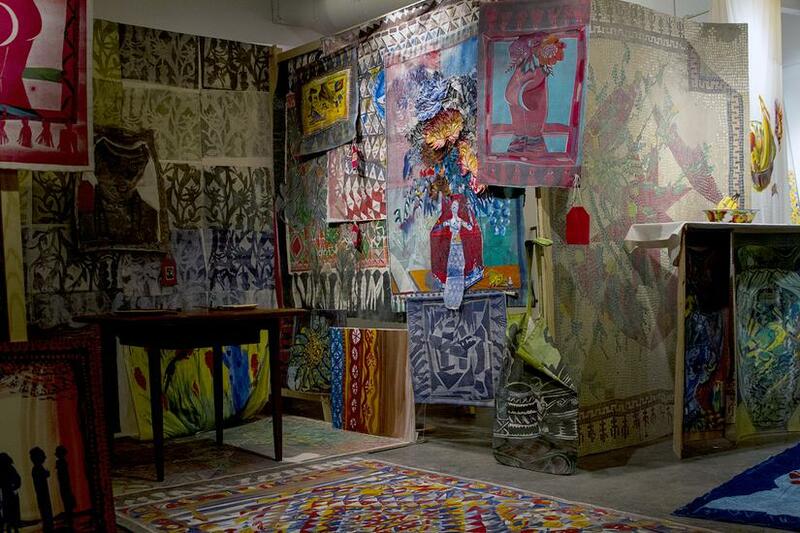 It is an artist’s studio, patterned and colorful, morphed into a three-dimensional world aesthetically. 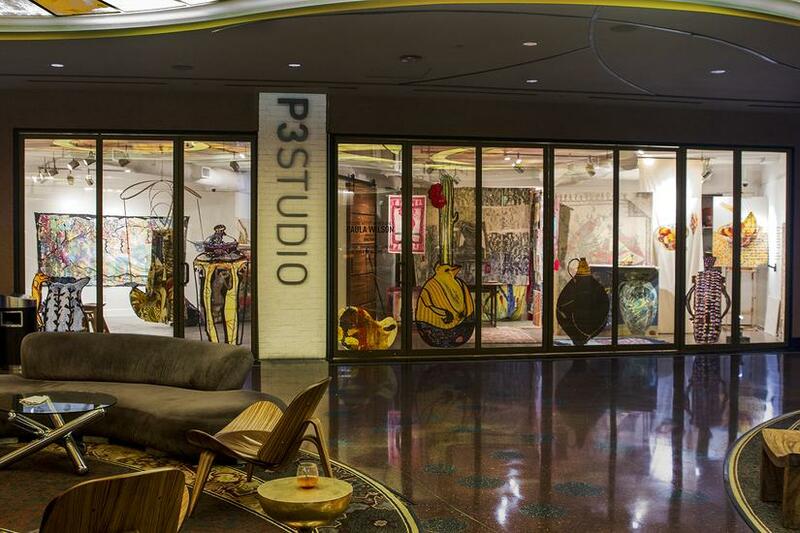 In P3Studio’s second room, the artist, seven feet tall and dressed in a gown made of paintings, stands before her canvas. Wilson arrives at this height on stilts creating a precarious grandiosity that is part display and part superhero. With the use of a joystick, guests co-control the paintbrush and images are generated as a collaborative process. This mechanized magic with gears, strings, projections and moving parts animates the act of art making. Together, the hard edge of authorship is undone and the playfulness of art making is amplified. 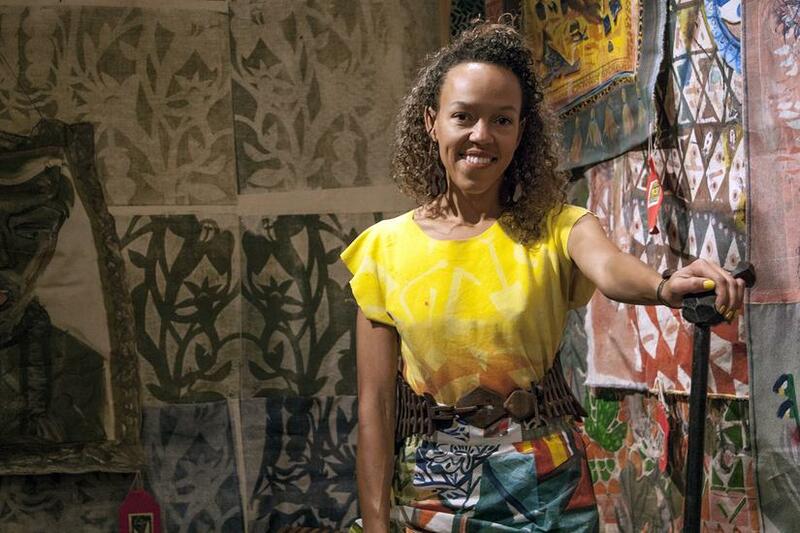 Paula Wilson received her MFA from Columbia University in 2005 and has since been featured in group and solo exhibitions in the US and Europe, including the Studio Museum in Harlem, Sikkema Jenkins & Co., Bellwether Gallery, and Fred Snitzer Gallery, among others. 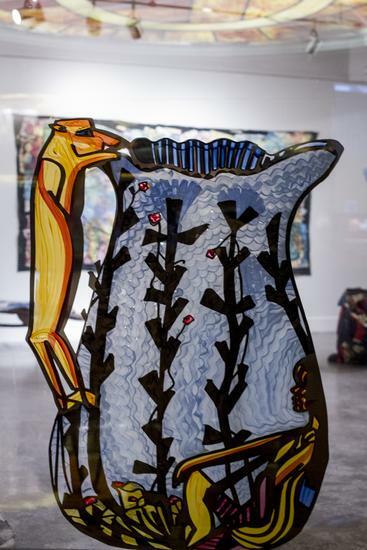 Wilson is a recipient of numerous grants and awards including a 2009 Joan Mitchell Artist Grant and the Bob and Happy Doran Fellowship at Yale University. She lives and works in New Mexico.